Tues 10.20.15 – Photographer Amanda Jones has a project called Dog Years, wherein she takes photos of dogs when they are young and then again of the same dog when they are old. It is a lovely and moving set of photos. While not studio photos, here are two photos of Scruffy McDoglet, one as a puppy in March 2004 and the other one taken as an older dog this past month. 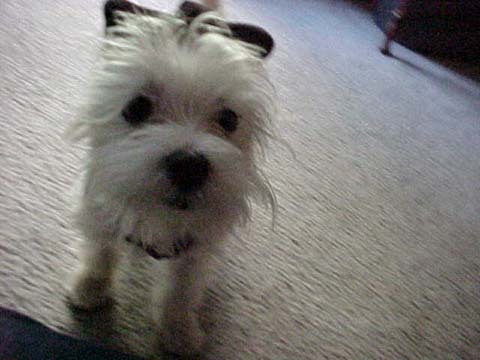 The first photo of Scruffy taken on March 29, 2004, when he was 4 1/2 months old, he was truly tiny – a third the size he is now in weight and length. He was also full of puppy energy. His puppy energy lasted well into his fifth or sixth year of life. 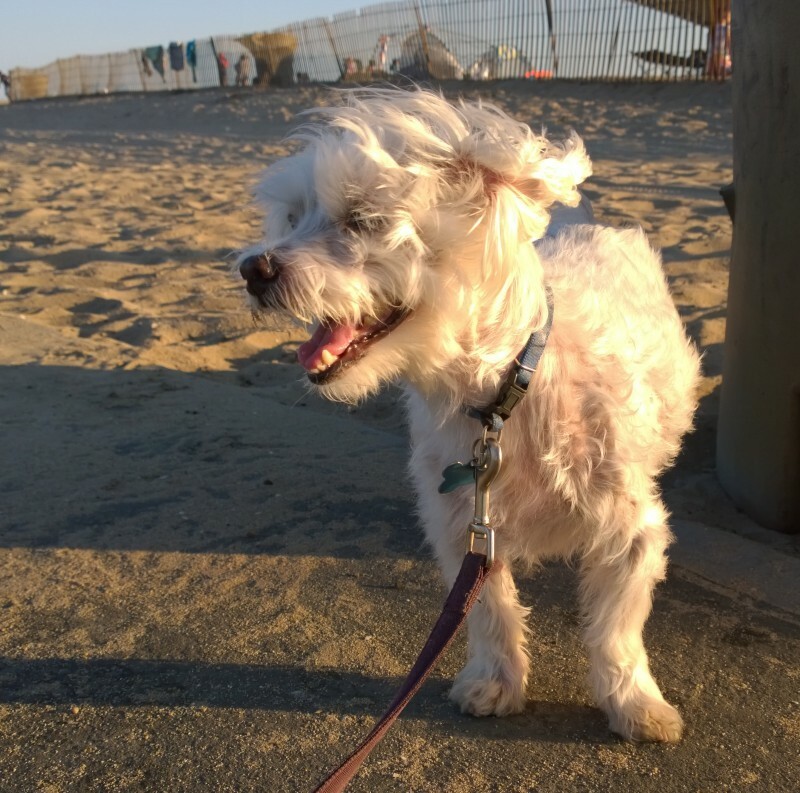 The second photo of Scruffy was taken last month while walking at Bolsa Chica State Beach, in this photo Scruffy is 11 years and 10 months old. He has started to slow down the last two years both in terms of energy and his health. While Scruffy still takes two walks a day, they are shorter than they used to be and he is sleeping quite a bit more. In terms of his health, over a year ago, he was diagnosed with Cushings disease and that has been a whack-a-mole misadventure. I still love Mr. Scruffy McDoglet something fierce. by Ms. Jen on Tue October 20, 2015 | Permalink | photos + text from the road.